There was a time when we used to take help of paint for taking a screenshot. It was a lengthy process where you need to press “Prntscr” button and then open paint and press “Ctrl+v” to take a screenshot. While making screenshots for your blog posts, many times you need to mark something with arrows and other shapes which should look attractive. No matter, if you are a blogger or a content writer or you are making a presentation, taking a screenshot becomes necessary. Taking a screenshot saves a lot of time and effort. Instead of noting down all the details one by one, just take the screenshot and save it. It is simple and a complete hassle free process but, only if proper screenshot tool is used. When it comes to a screen capture tool, there is large number of tools available in the market. Most of them are either paid or lack some important features. However, there is one screenshot tool which is full of features and free to use. We are talking about Greenshot, a free screenshot tool which makes taking a screenshot as easy as it can be. The tools it offers are well enough to make attractive screenshots. It allows creating a screenshot of a selected part or full screen. It can also be used to capture a complete web pages screenshot from Internet Explorer. It offers a large number of editing options. Screenshots taken by Greenshot can directly be printed, attached to an email and can be uploaded to websites like Flickr. 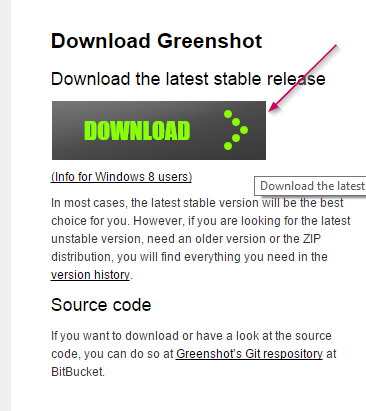 Greenshot can easily be downloaded from its official website. It is easy to install and takes a little time in setting up. The best thing about Greenshot is that it makes “PrntScr” key as the default key for taking screenshots. If you are already using a screenshot tool, Greenshot will ask to assign a key for taking screenshots. It can easily be done in the settings menu. Once you are done with installation of the Greenshot, you need to use the hotkey “PrntScr” for taking a screen shot. This key is placed at the just above the backspace and behind the delete button. Now, if you are planning to take a screenshot, press “PrntScr”. It will show you few lines with a magnifying circle for taking the screenshots. It also shows you the dimensions of the screenshot so that you can take the screenshot as per the needs. It offers many features during saving the screenshot. As soon as you finish with taking the screenshot, Greenshot asks you to whether you want to save it as any specific location or a preselected location. It also asks for the opening the screenshot in its own editor or sending the screenshot for print. 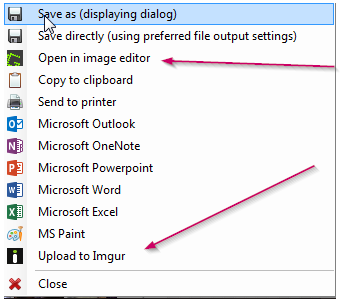 The screenshot can also be opened in Word, Excel, PowerPoint, Paint, and Outlook and can also be copied to the clipboard. It can even be uploaded on to the Imgur. Pressing “Ctrl+PrntScr” or “Alt+PrntScr” or “Shift+PrntScr” allows you to take the screenshot of the full screen. You can open the screenshot in the editor if you want to edit the screenshot. Greenshot offers a very useful and powerful editor that can be used for making perfect screenshots. 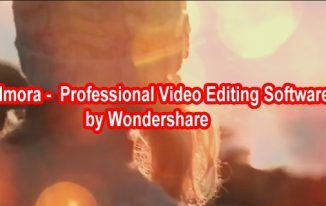 The below screenshot is taken and edited by the Greenshot editor and you can see the large variety of editing features offered by the free screenshot tool, Greenshot. 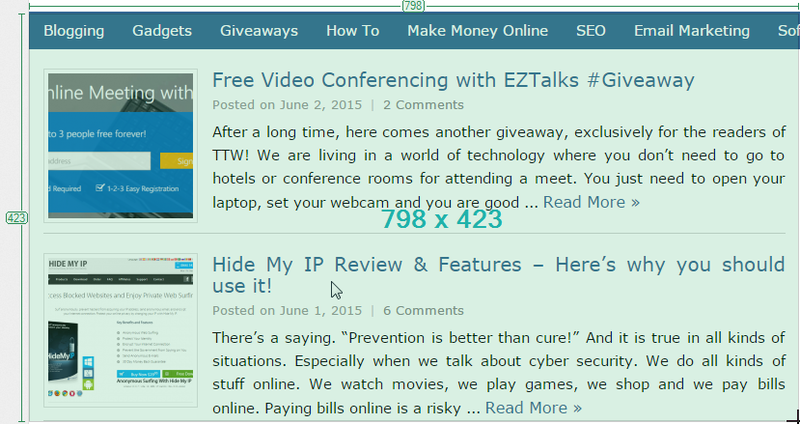 Greenshot is certainly the best free screenshot tool that offers few of very useful features. It is easy to use and can be used to take screenshots and edit them without any hassle. It can improve your work productivity and is a must have tool. Currently, it is available for Windows only but, soon it will be available for all major platforms. We daily use PrintScreen. Thanks for sharing this info with us, that’s a great and useful tool. You’ve introduced a nice & useful tool for us. As of now, I’m using Awesome Screen Shot to take screenshots for my blog posts. But, few days back, I’ve heard that it is stealing out data. So, I thought to use some other tool to get screen shots. Now, you’ve revealed the impressive features of Greenshot and well explained on how to use it. I’ll try it for sure! I too used Awesome screenshot but Greenshot is better and having great features. That is why I have started using this tool only. Thanks for sharing this amazing tool with us. Although we use PrintScreen in our daily life but the quality reduces a bit and I think this tool will help a lot in getting good quality Screenshots. Just try this tool and I am sure you will not regret of using it. Thanks a lot for shearing this amazing post with us. Even if we tend to usage PrintScreen within day nonetheless good cuts down on a tiny bit not to mention in my opinion this unique system can certainly help very much through buying premium Screenshots. Even if you used this tool, you will have to press screenshot and it will open with a selector… select and it will take you to the editor where you may edit the screenshot to make it perfect. Glad you liked it Ethan! I normally hit print screen and it gets automatically saved to my Dropbox account and then I edit it to my liking. I think I’ll give this method a try and see if it takes. Thanks for the info mate. This is a true alternative Atish bro.Gonna try itfast. msg this msg again and again! What to do i need to restart and check right? Till now I am using same old style to get the screenshots for my articles, but the quality of image is missing in old style but, I don’t know how the screenshot quality comes with Greenshot, ok, I will try and find out, thank you very for introducing new tool to me. 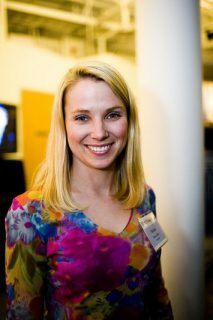 See yo soon with another article. Its good to know of this awesome tool – Greenshot. I always wanted to have tool that will enable me save and edit the screenshot taken with the PrintSC button. Thankfully, it seems like this tool has the features I want! I am downloading and will try it out! I have been using GS for quite some time,and I like it.The only thing is the tooltray icon disappears occasionally,and the only way I can get it back is rebooting the computer.GS doesn’t have a help section yet,so I am left to my own devices.Funny thing is when I hit Crt-Alt-Del,GS is shown as running. It looks strange. Go to Greenshot’s preferences and check the box says “Launch Greenshot on startup”. I think it may solve the issue. I have got the problem once, but I did it, and since then it is working well. Thanks for coming by Mike. Enjoy the weekends. Thanks,Atish,but I just checked,and GS IS set to launch on startup.The problem is that after I use it a few times,the GS icon disappears from the tool tray.This happens on a random basis.Some days,it behaves normally,and is there all day. Maybe there is any issues with your Windows? Or try reinstalling GS, and see if it solves the issue. Thanks,Atish.I will reinstall GS.I think I tried that before,but I will do it again. Like I said before,some days GS works perfectly.Very frustrating! Hmm! 😛 Try using some other tool then ha ha. There are many screenshot tools available. Hi Atish. I used to use Faststone Capture before,but dropped it when it was no longer freeware.I want a freeware product that ideally does scrolling capture. At work,I use Snagit ,but even that is super slow doing a scrolling capture. I have pinned Snipping Tool to my taskbar for when GS goes down.Thanks for your great suggestions,Happy New Year! Did you try Awesome screenshot chrome extension? That works good too. Hi Atish: I mainly use Firefox,although I sometimes use Chrome,Aviator or Opera as well,and I found an Awesome Screenshot FF add-on. It captures the entire page,even a scrolling one,which is perfect! I don’t recall hearing about Awesome Screenshot before. Many thanks. Awesome! You finally found the solution.